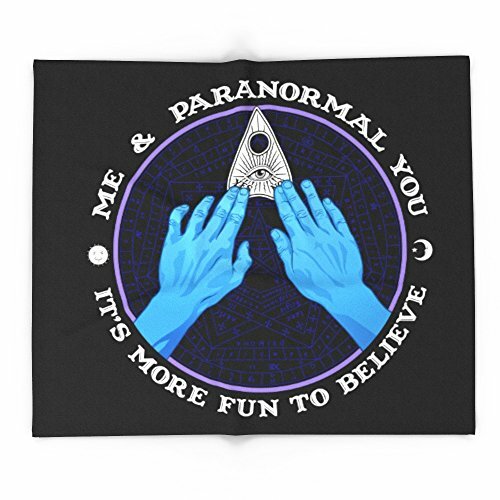 Society6 Me & Paranormal You - James Roper Design - Ouija (white Lettering) 88" x 104" Blanket by Me & Paranormal You. Our seriously soft throw blankets are available in three sizes and feature vividly colored artwork on one side. Made of 100% polyester and sherpa fleece, these might be the softest blankets on the planet, so get ready to cozy up. They can be machine washed separately with cold water on gentle cycle. Tumble dry on low heat setting. Do not iron or dry clean. Our seriously soft throw blankets are available in three sizes and feature vividly colored artwork on one side. Made of 100% coral and sherpa fleece, these might be the softest blankets on the planet, so get ready to cozy up. They can be machine washed separately with cold water on gentle cycle. Society6 Me & Paranormal You - James Roper Design - Ouija (white lettering) Comforters Twin XL: 68" x 92"